With tens of small airports and many short-haul flights, northern Norway is ideal for introduction of electric passenger aircrafts. For years, Norway has been a global leader facilitating for electric cars. 21 percent of new vehicles registered in the country in 2017 was zero-emission battery cars. The government aims to phase out sales of petrol-engines by 2025. Additional to electric cars, Scandinavia leads the way for a zero emission transport sector. Electric busses are on the roads in Umeå, a hybrid electric fishing vessel sails in Troms, electric ferries are trafficking on Norway’s west coast, a huge factory for electric car batteries are to be built in Skellefteå and even the first hybrid electric cruise ships will nest year bring the first passengers to Arctic waters. Even electric snowmobiles are in the pipe from a factory in Rovaniemi. Now, aviation authorities says all short-haul airliners in Norway should be electric by 2040. «We think that all flights lasting up to 1.5 hours can be flown by aircraft that are entirely electric, Chief Executive Dag Falk-Petersen of aviation authority Avinor says to AFP. Together with Norway’s aviation sport association, Avinor will have a small 2-seat full electric test plane delivered this summer. Falk-Petersen says electric aircrafts will change the environmental impacts by the aviation industry significantly. «It could also be cheaper to fly, as operation expenses will be substantially lower, something that will also give cheaper tickets,» he says in a press-note. Shorter routes will be easiest to start with, where aircrafts powered by fuel-cells or batteries could be charged during short stop-overs. Like in Finnmark, Norway’s northernmost region that has 11 airports serving a population of about 75,000. No routes last longer than an hour and the shortest, like Vardø to Kirkens takes about 10 minutes. 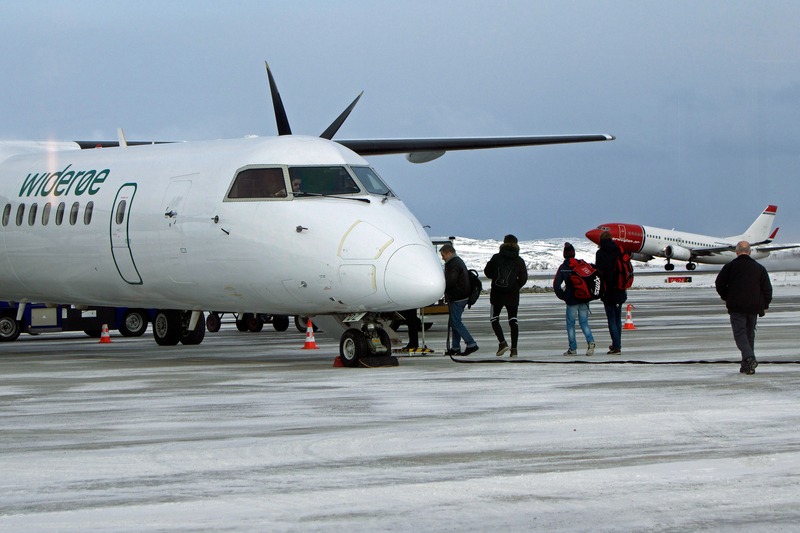 Passenger traffic to the 25 smaller airports in Norway is mainly operated with aircrafts with 39 to 50 seats. With electric engines, a larger aircraft can land on a shorter runway that today’s planes. In the longer run, but before 2040, all domestic flights in Norway, including to the neighboring Scandinavian destinations, will be all-electric, according to Dag Falk-Petersen. Both Airbus and Boeing are investing in development of electric planes. Airbus’ electric prototype plane, E-fan, was the first to cross the English channel in 2015. Others, like Wright Electric, have design- and technology studies going on with the goal to buil a battery-powered 150 seat plane to compete in the market for short-hal flights up to about 500 kilometers. Design study by Wrigth Electric of a 150-seat battery-powered aircraft.